In the blink of an eye, the week long fashion-a-thon was coming to an end. 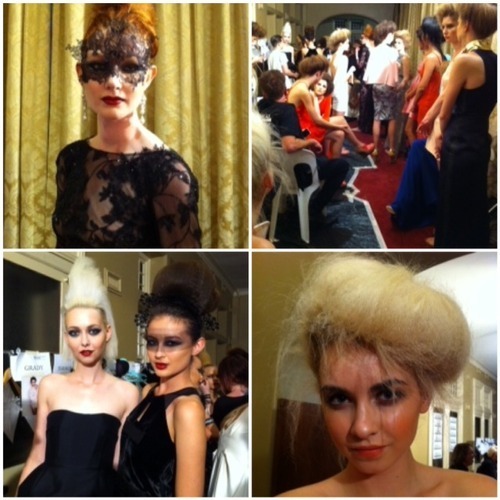 The final event for the 2012 Perth Fashion Festival at Government House, ‘Giving Back Is The New Black’, was a fitting finale for a hugely successful, fashionable week. Bird-like creatures, created a guard of honour on the red carpet. They pecked, flocked and surrounded me for the photo! 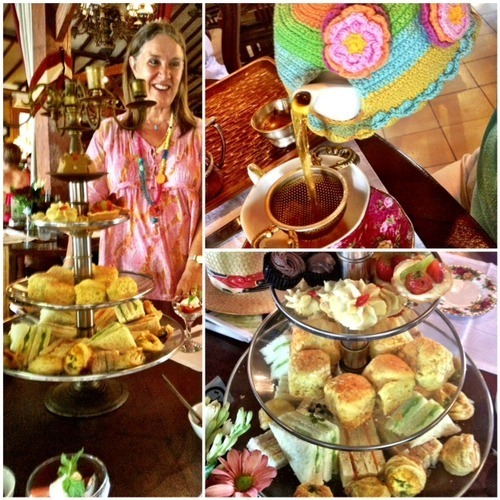 Knowing most guests would be dressed in various shades of …black, I continued my own colour-thing!! This zingy, lime dress above, is by Trelise Cooper. 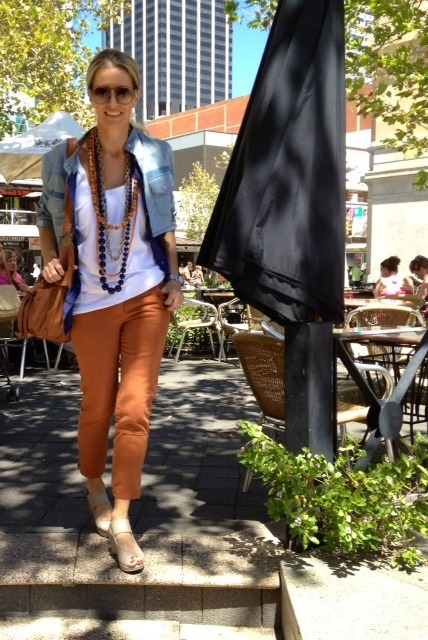 Beads, tassels and more beads, created a Bohemian look! 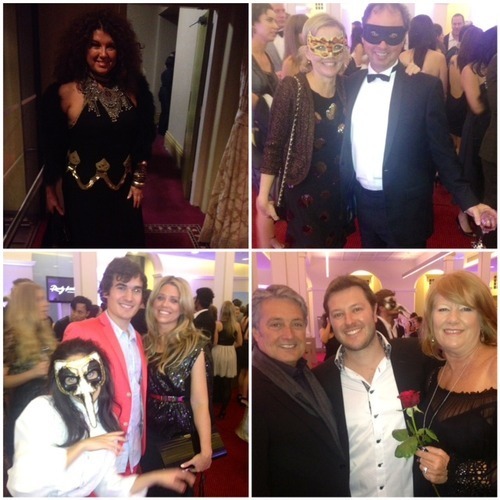 Minus the masquerade mask… oopsy!! You guessed it! I made a bee-line for original stylsters, Poppy Lissiman and Harrison Kennedy. 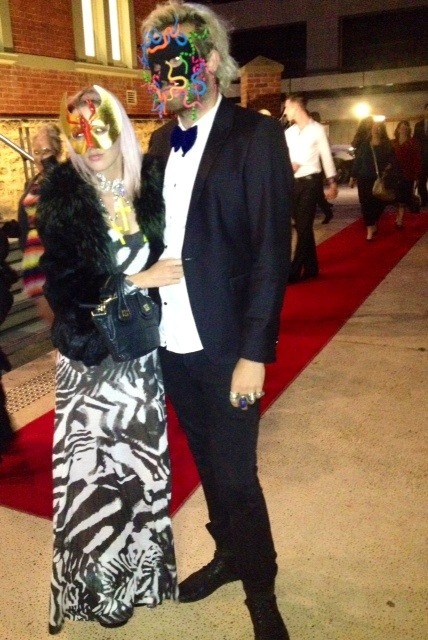 I have mask envy… lobster or fluoro snakes?? 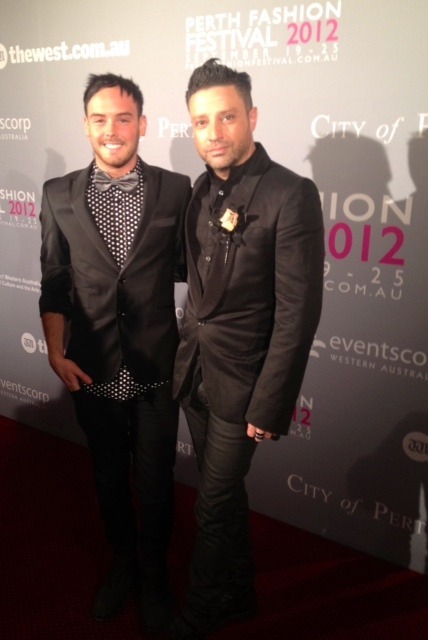 Red carpet style… Aurelio Costarella and Liam Baxter. I’m a sucker for a spotted shirt! Still on the red carpet, snapped with none other than ‘Anna Wintour’, ‘Karl Lagerfeld’, Miss Jenna Clarke (rocking a tux and sparkly Miu Miu’s!!) and an ever-so quirky, bearded gent who, like me, did his colour thing!! 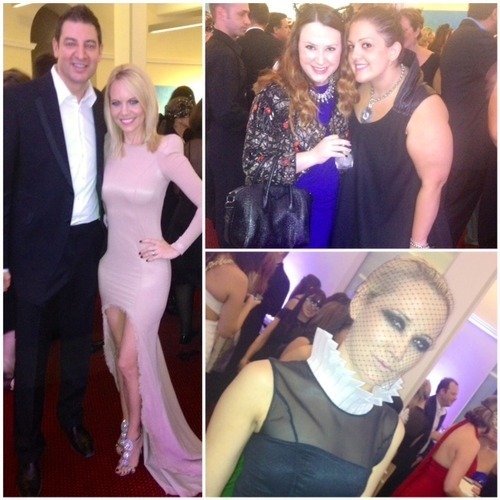 Downstairs it was drinky, chatty, kissy time and bloggers heaven! With soooo many stylish guests to spy, I was busy snappin. First up, found my galpal, Amy (stuuuuning in Zhivago) and her man, Basil Zempilas (L). Next, yay and hooray, I finally met, in person, BOTH, Stephanie Patniotis (Top R), Miss Styleaid herself and Zara Bryson (Top L), fab stylist and boutique owner. Also whisked by and said hi to Lara, half of Zhivago. Loved the netting mask. How cool! 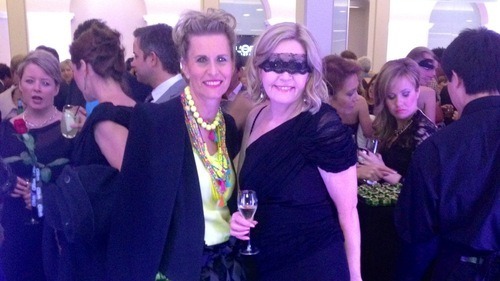 Shared a little bubble time with Lord Mayor, Lisa Scaffidi. Love her lace mask! Found Di Bauwens, (Top L) in Charlie Brown. Emma, and Zorro (Howard) Cearns, (Top R). 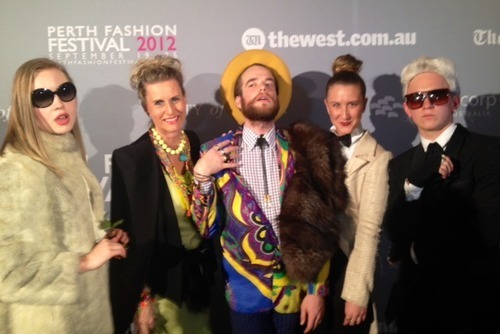 Jordana and friends from PerthStyle (Bottom L) and Maurice, Seaton and Rosemary Meade (bottom R). 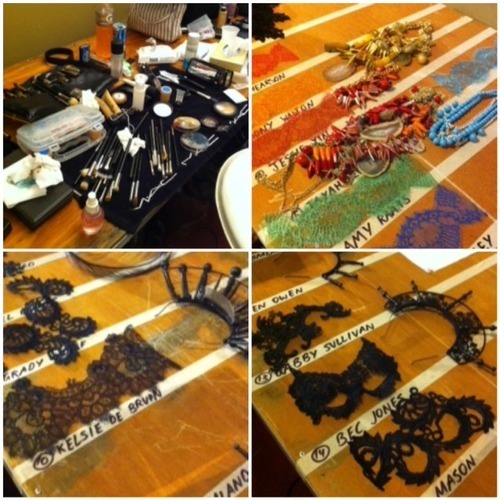 Glam models, excited and ready to shine! Love the birdsnest dos. Time to take a seat and let the show begin. 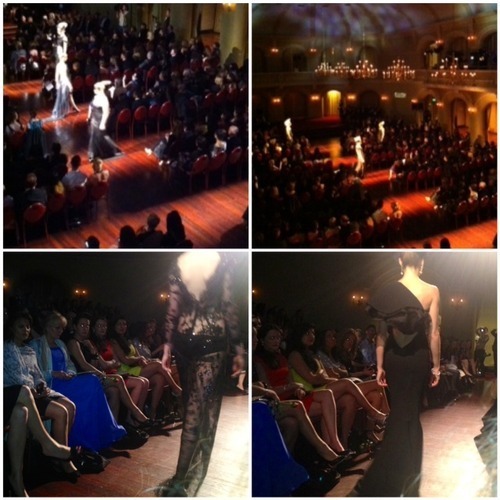 Seventeen WA designers, each created and donated a gown to be auctioned for this ‘Ready to Work’, charity event. 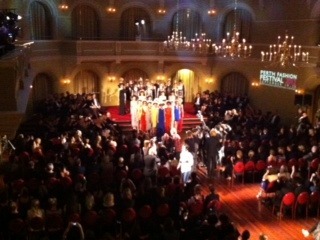 Models sauntered up and down the aisles, giving everyone a ‘front row’ glimpse. An unexpected surprise, was the appearance of a second group of models, parading in colour-pop summer shades. It was all over in a flash. 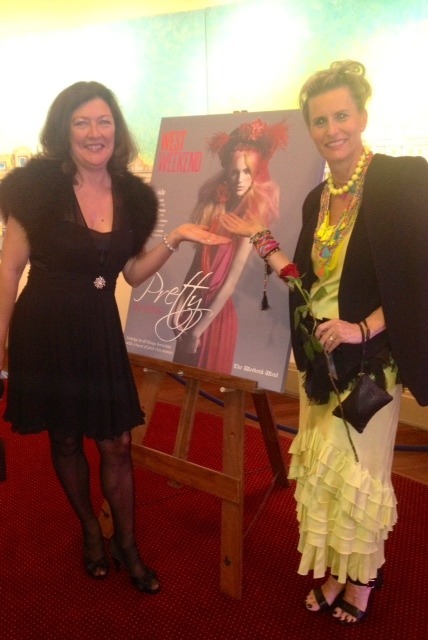 Jubilant, triumphant and on a high, I posed for one final nostaglic PFF 2012 photo below, with Sandra Daws from Woodside. A huge thank you to both Rebecca and Sandra, from ‘WOW’, Women of Woodside, for kindly inviting me.